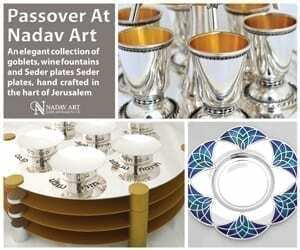 Hanukkah archives with your Hannukah Judaica needs. Sterling silver and aluminum menorahs, dreidels in every shape and color, and every gift for Hannukah! You can find the perfect gift for all eight days of Hanukkah, or the best Judaica for your own Hannukah at home. In addition, we’ve got stunning, limited edition Menorahs. 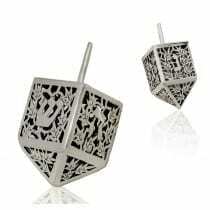 Come see the choice of silver and aluminum dreidels for yourself. For example, watch your unique dreidel spin and create a rainbow of colors. Or, you can hear it sing with bells hanging off of it. We have something for everyone, that includes you!